Alabama Gov. 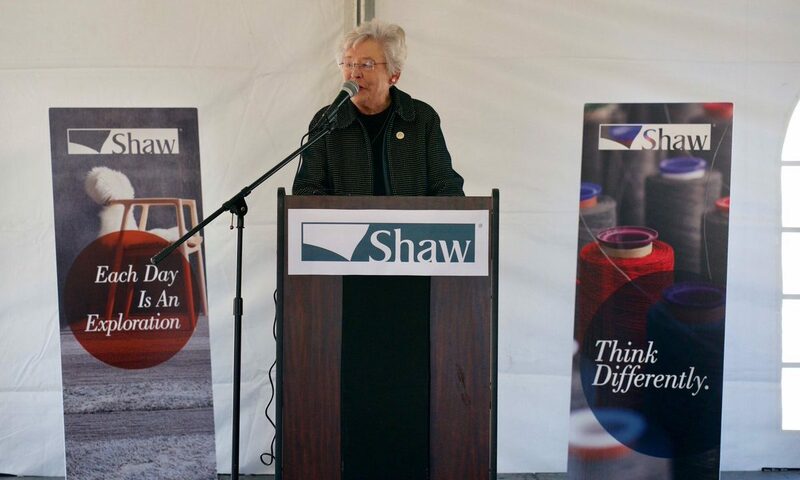 Kay Ivey was in Andalusia at the Shaw Industries carpet plant. The Shaw Industries Group, Inc. announced that is investing $250 million in its Andalusia manufacturing facility, which creates fiber used to manufacture residential carpet. Ivey was joined by Andalusia Mayor Earl Johnson, Covington County Commission Chairman Greg White, and Shaw associates in a celebration of recent achievements at Andalusia’s Plant 65. The project includes construction of new and expanded building assets and installation of substantial amounts of new manufacturing equipment. The changes will create even better efficiency, production, ergonomics, and safety for the more than 1,200 associates who work at the plant. Construction began a little over a year ago and modernization efforts will continue through 2020. The facility remains operational throughout the transition. Andalusia is in Alabama’s Second Congressional District, AL-02, and is represented by Congresswoman Martha Roby (R-Montgomery). “Headquartered in Dalton, Georgia, Shaw Industries, Inc. is a global flooring provider with a presence throughout North America, South America, Europe, and Asia,” economic developer Nicole Jones told the Alabama Political Reporter. Shaw Industries Group is a subsidiary of legendary investor Warren Buffett’s Berkshire Hathaway. Shaw is the world’s largest carpet manufacturer with more than $4 billion in annual sales and approximately 22,300 employees worldwide. “Shaw Industries, Inc. attributes its success to remaining focused on the core values recognized at its inception in 1967 – quality, service, and performance – values many Alabamians hold dear and live up to every day,” Nicole Jones added.